OK, so the page has turned and it’s 2017. Happy New Year! But it’s also the beginning of North America’s winter and frankly there’s just not much for the motorsport enthusiast to embrace over the next month or three. Or is there? Absolutely yes, there is. Because Monday was Day 1 of the second most notable motorsport series in world (the first being Formula 1). 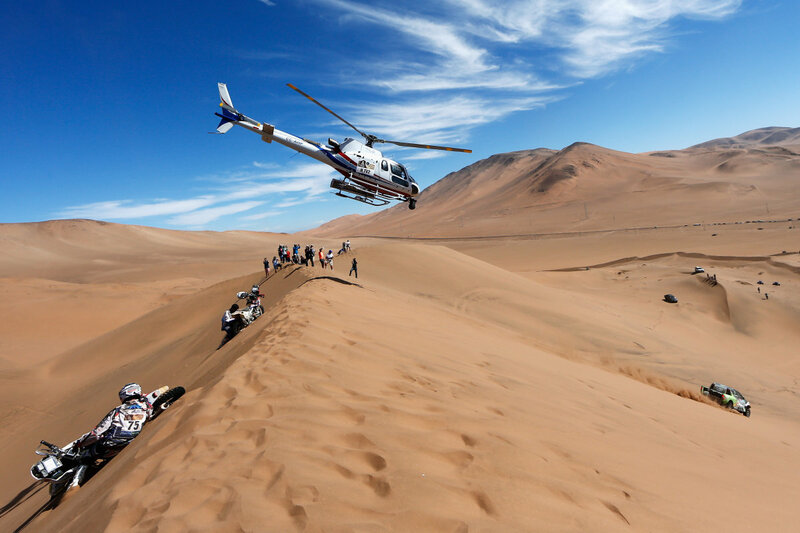 It’s the Dakar Rally, a 12-day “rally raid” which runs from east to west across the South American continent, and then back again. That’s 8,800 kilometers (5400 miles) of racing by more than 320 vehicles, from solo motorcycle teams to ATVs to crazily robust 4-ton trucks. You may already know about the concept of “rally”in its many variants. The basic idea is vehicles going as fast as possible over existing roads or backwoods tracks and racing against the clock. It’s not wheel-to-wheel—and couldn’t possibly be—because the more challenging rallies are run on mountain roads, or over sand dunes, or through narrow unpaved roads in rural villages. 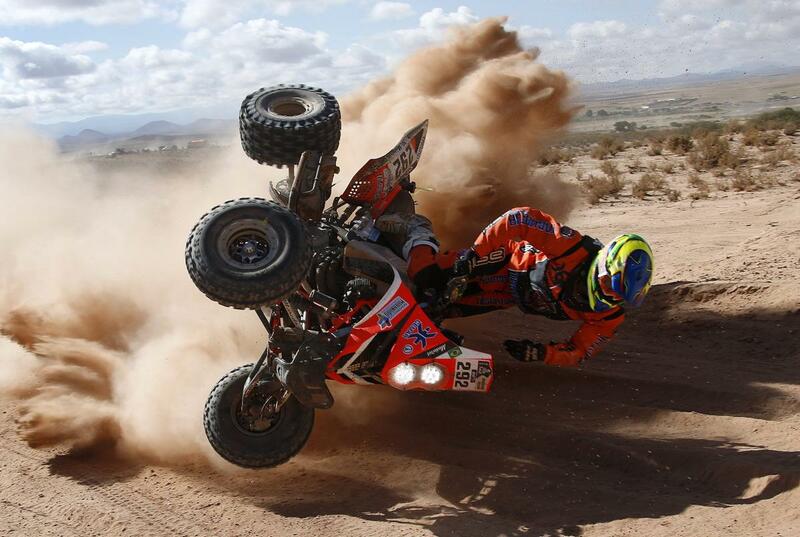 At Dakar, it is usually some combination of all three. But in every case the stages are insanely demanding of vehicles and drivers and teams. Retirements, crashes, exhaustion, and other incidents are inevitable. The most interesting parts of Dakar are the “selective stages,” which are the timed segments that are strung together to create the circuit. Like all rallies, participants gain points for each stage, and at the finish points are tallied and winners (and losers) declared. 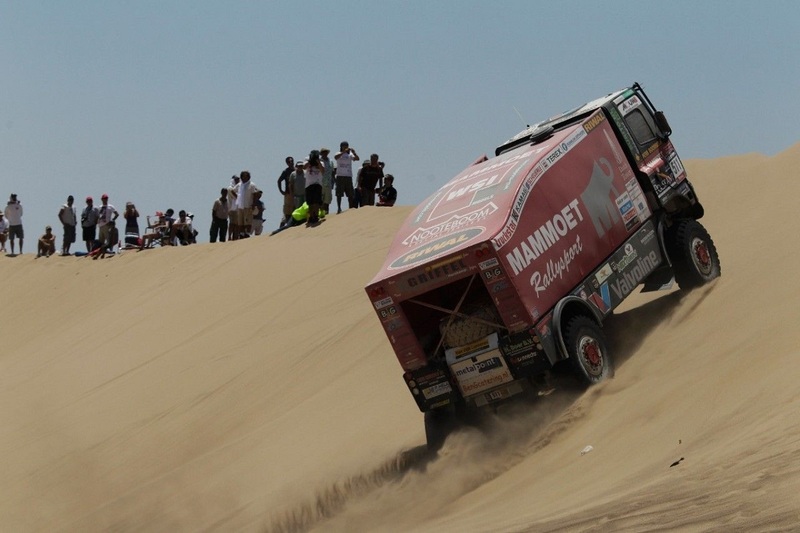 Dakar’s special stages range from the minuscule 39 km (24 mile) stroll of Stage 1 to the 527 km (320 mile) grunt of Stage 6. 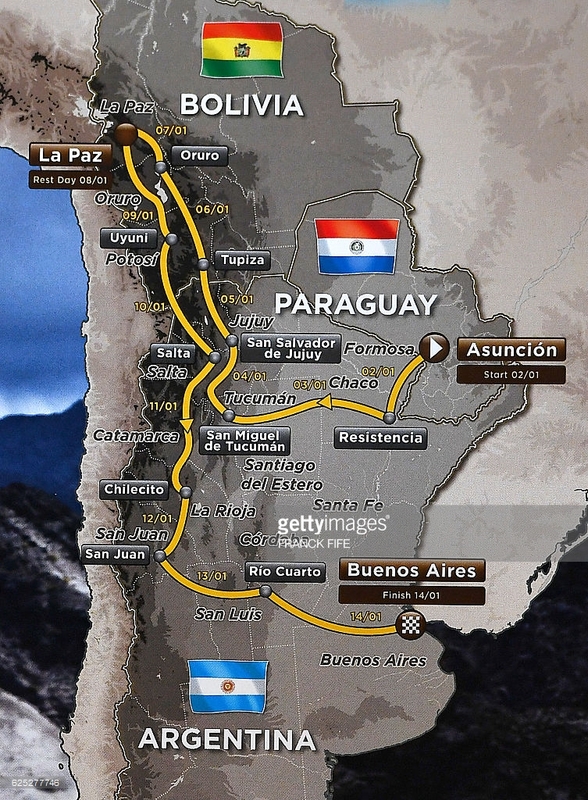 The remaining special stages all range from 275 km to 500 km, and six of those are at 3,000 to 4,000 meters through the Andes mountains. That’s hard on drivers and teams and even harder on vehicles. They’re all pummeled to the extreme. Accidents, breakdowns, and spectator incidents are common. To pull all this off, organizers and teams need space, money, determination, and definitely a non-litigious environment. By design Dakar is remote, and in fact the more remote the better (it was run from Europe through North Africa until 2008, when terrorist threats rose against the series). But the remoteness does hamper spectatorship, and keeping up with the daily stages is a bit of a hassle. Like everything Dakar, you have to want it. The organizers meet you halfway though, with three helicopters and more than 20 video staff engaged to produce 4 hours of daily fare. Almost none of it is real time, nor will it be live through most of the 50-plus global broadcast venues. You’ll be watching after-action reporting for the most part. A good starting point is the dakar.com web site itself, which is dense with reportage and also provides live timings and a selection of daily video, photos, and commentary. Happily, the organizers provide a 225-page PDF on the web site, with a wealth of statistics and facts covering every Dakar from its 1979 inception. From there it’s off to youtube, or VPN to the local South American or Euro broadcast sites (e.g., Eurosport TV), where it’s possible to find longer and more current coverage than anything we’re likely to see in the USA. NBCSN will run a 30-minute daily evening spot throughout the race. You’ll find posts from other struggling spectators on reddit.com, jalopnik, and other motosport blogs. Unfortunately this isn’t Le Mans, with its 24 hour WEC livestream and Radiolemans commentary. In any case to many it’ll be worth the effort to catch a good part of this, arguably the most demanding race in motorsport. Except for the Daytona Rolex 24, which is only a month off, and is so much easier on us winter hibernators.